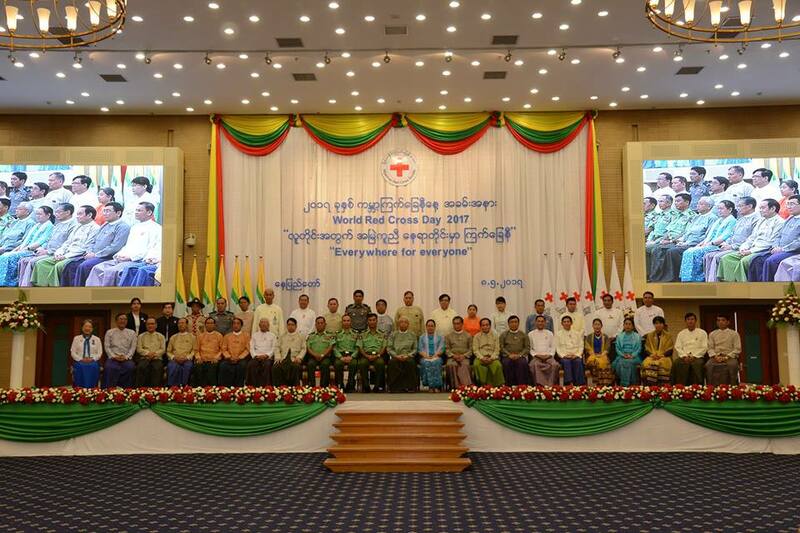 World Red Cross Day ceremony was celebrated at Myanmar International Convention Center II, Naypyitaw and the Patron of Myanmar Red Cross Society, Union President U Htin Kyaw addressed the audience in the ceremony. The Union President of Myanmar, H.E U Htin Kyaw, Union Ministers and Vice Ministers of respective Ministries, Chairman of Nay Pyi Taw Council and representatives, Honorary President Professor Dr. Tha Hla Shwe, President Professor Dr. Daw Mya Thu, executive committee members, Central Council members, Chairmen of State and Region Red Cross Supervisory Committees, Red Cross Brigade members, representatives from International Committee of Red Cross (ICRC), International Federation of Red Cross Red Crescent Societies (IFRC) and partner National Societies, special guests, donors, volunteers and staffs, about 400 people attended the ceremony. 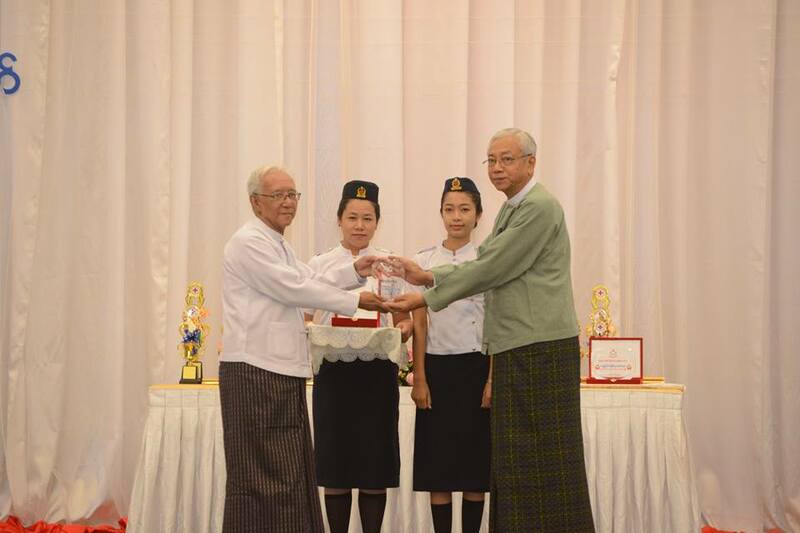 “Moreover, the Myanmar Red Cross Society can help trained communities to be disaster resilient and the government, on its part, will be providing necessary assistance through its line ministries”, he added. Since its inception from the battlefield of Solferino in 1859, the Red Cross has been actively carrying out humanitarian work all over the world for all the people in need regardless of their nationality, religion, political opinion. 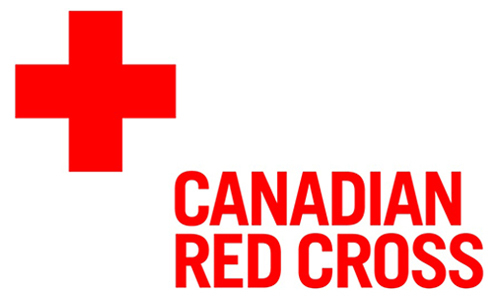 The International Red Cross Red Crescent Movement is the world’s biggest humanitarian network and providing humanitarian assistance to those who need according to the Red Cross principles: Impartiality and Neutrality. Every year, around the world, the International Red Cross and Red Crescent Movement: International Committee of Red Cross (ICRC), International Federation of Red Cross and Red Crescent Societies and 190 National Red Cross/ Red Crescent Societies provide the humanitarian assistances for more than 160 million people through its network of around 17 million volunteers and 450,000 staffs. 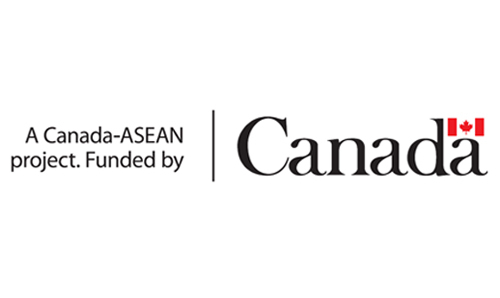 Myanmar Red Cross Society was established since 1920. Over 44,000 Red Cross volunteers provide humanitarian aid to more than 500,000 people, building safer and stronger communities through a diverse and innovative range of services tailored to local needs. From Community Based Health and First Aid Programme, Building Community Resilience Programme, Hpa-an Orthopedics Rehabilitation Centre, Restoring Family Links services, Disaster Preparedness, Response and Recovery Programmes, the Myanmar Red Cross Society provides these services through the tireless dedication of its volunteers. “World Red Cross and Red Crescent Day, 8 May, is an opportunity to recognize the contribution and achievements of the millions of volunteers and staff members around the world who are keeping our commitment to humanity every day – by making the last mile effort to ensure that no one is left behind. In complex contexts with increasing vulnerabilities, our ability to access people in need is constantly changing. 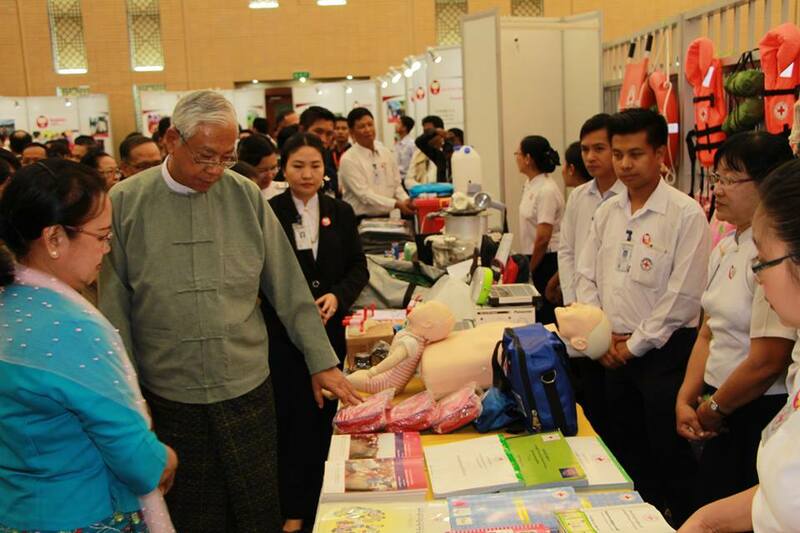 But our volunteers and staffs are finding creative and innovative ways to adapt local solutions to reach people in need and help them prepare for dealing with and recover from these challenges,” said Professor Dr. Daw Mya Thu, the President of Myanmar Red Cross Society. The theme of 2017 World Red Cross Day is “Everywhere for Everyone.” Myanmar Red Cross Society commits to maintain the momentum of good work and success that it has achieved to continue striving for improvement and betterment to help the people according to their needs and to thrive as community based humanitarian organization by promoting the role of youth, the role of people living with disabilities and empowering women.